Wayne Gunter: Wayne, age 65, died April 8, 2013. He spent two combat tours in Vietnam: two years and two months, from 10-68 through 12-70, proudly serving his Country with the 11th Armored Calvary Regiment. After his Service, Wayne became a police officer, quickly becoming the Chief of Police in Caryville, TN, then moving to Chief of Police in Lake City, TN.After his Police venture, Wayne became a long-distance truck driver for the remainder of his working career. At his request, his earthly body is being cremated and no funeral or formal memorial will be held. He wanted no flowers, just a rose.In his memory, please sing, or listen to “Just A Rose Will Do”, cast one baited hook as you fish, or eat a thick slice or “Blony” (bologna) during your camping trip. Sergeant Davalos was born in Jacksonville, Florida. In 2008, he enlisted as an infantryman. He served with the 172nd Infantry Brigade in Iraq in 2008-2009. In April 2011, he deployed with the 10th Mountain Division to Afghanistan. He is currently a squad leader with 2nd Platoon, B Troop, 1st Squadron, 11th ACR. His short-term goals are to graduate from Ranger School, be promoted to staff sergeant, and complete his associate’s degree. SPC Matthew Holiday was born and raised in Syracuse, NY. He attended Bishop Ludden High School and graduated in 2005. He continued his education at Clarkson University, and while attending Clarkson University, he played 4 years of college baseball. Matthew completed his Bachelor’s degree in Financial Information and Analysis in 2009 and worked in the field of finance for just under 2 years. At that point, Matthew felt that he could accomplish more, and challenged himself to do so by joining the United States Army in 2011. While attending AIT, Matthew also earned an Associate’s Degree in Intelligence Operations. In September of 2012 he was attached to HHT, RSS, 11th ACR where he presently works as a 35F Military Intelligence Analyst. Matthew volunteered 40 hours of his personal time while attending AIT within the community of Sierra Vista, AZ in order to earn the Military Outstanding Service Medal. His short- term goals are to become a Non Commissioned Officer and to earn a Master’s degree in Intelligence Studies from American Military University, where he is currently enrolled as a graduate student. Staff Sergeant John Haynesworth, HHT 1/11 ACR, 2nd Quarter NCO of the Quarter receives his Blackhorse Windbreaker and letter from The Blackhorse Association from the Regimental Commander and Regimental Command Sergeant Major. The annual celebration of the last U.S. Army border patrol along the inter-German border took place on March 20 at Observation Point Alpha, now a memorial to all who served along the border named Point Alpha. The focus of this celebration is on bringing high school kids together from DODDS, Hesse, and Thuringia with period witnesses of the 11th ACR and Germany to ensure that this important piece of history is not forgotten. Once again, through the good offices of Don Wicks, a new American flag was provided for the ceremony. Director of Point Alpha Foundation Herr Volker Bausch, Consul General Kevin Milas, and USAREUR Command Sergeant Major David S. Davenport at the Last Patrol Ceremony. This is a reminder about our annual Reunion. It helps the Association a great deal in planning if attendees can register early and make lodging arrangements. So block your calendars, send in your reservations, and make you lodging arrangements as soon as possible. The reunion hotel is really nice and very reasonably priced for downtown Louisville. This event is central to the continued health of the Association and we encourage everyone who can to attend and share the heritage, traditions, and camaraderie that made – and continue to make – the Regiment such an important part of our lives. 11th Armored Cavalry Regiment’s Blackhorse Association will hold its annual Blackhorse Family Reunion in Louisville, KY, May 30 to June 2, 2013. Hosted by the Association’s Gold Vault Chapter, the reunion is open to all past and present troopers who served with the Regiment, the Regimental Community, and all separate units that supported the Regiment. The reunion will be held at the Hyatt Regency Louisville, 311 S. 4th Street, Louisville, KY. The hotel has just completed a $5.8M renovation; and it has great new facilities, a downtown location near the river, and excellent restaurants. Rooms have been set aside for reunion attendees at a special negotiated rate of $115 per night. Parking in downtown Louisville can be difficult and expensive, but we have negotiated a $10 per day rate in a city parking garage adjacent to the hotel. Attendees are encouraged to make plans early. For electronic reservations at the Hyatt Regency Louisville, go to the special website they have set up for us at https://resweb.passkey.com/go/blackhorseassociationreunion or phone 800-233-1234 (be sure to tell them you are attending the Blackhorse reunion). For additional lodging options, go to www.expedia.com/Louisville-Hotels. 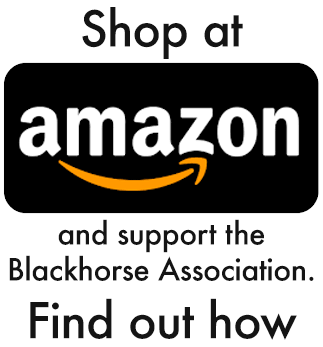 Be sure to tell them that you are with the Blackhorse Association reunion. You may also be able to get a better rate if you qualify for the government rate ($109 for Thursday and Friday nights, and $97 for Saturday night). Registration fee is $95 for adults and $30 for children 12-and-under who do not attend the banquet. This fee covers reunion mementos, hors d’oeuvres at the Friday evening Stable Your Mount social, the Saturday banquet with wine, and other reunion costs. Please complete the attached registration form and make checks payable to “Thomas Smart (Blackhorse Reunion)”. Attendee transportation, including airfare, rental car, and lodging must be organized separately. For more information, see www.blackhorse.com and www.blackhorse.org; or contact one of the following Reunion Committee members: Tom Smart at (703) 973-3703, tom.smart@acrpros.comopens in a new window; Glenn Snodgrass at (703) 250-3064, jgs525@verizon.netopens in a new window; or Wes Walters at (571) 276-9471, wes.walters@saabgroup.comopens in a new window. Highlights include the Thursday afternoon golf tournament, the Thursday night casual gathering in the Hospitality Room, the Friday morning bus trip to the Patton Museum for (probably) the final memorial service at our monument there (before it moves to Fort Benning), the Friday night Stable Your Mount program, which will include the induction of several new members into the Regiment’s Honorary Rolls, the brewing of the Blackhorse Punch, and the Saturday night program featuring MG H.R. McMaster, one of our own, who is the Commander of the Maneuver Center of Excellence at Fort Benning, as our guest speaker. There will be lots of free time to connect with old friends and meet new ones, and downtown Louisville is a fun place to enjoy. Attention reunion Golfers!! Please sign up!!! We need some more golfers to sign up for the tournament on Thursday, the 30th. We will be playing at the Covered Bridge Golf Club, at 12510 Covered Bridge Road in Sellersburg, Indiana, about a 30-minute drive from the hotel. It is a beautiful, Fuzzy Zoeller-designed course. The cost is $55 (includes greens fees and cart and range balls, and the first tee time is 12 noon – please be early. LET US KNOW IF YOU PLAN TO PLAY!! Contact Tom Smart directly at tom.smart@acrpros.com or call him at 703-779-0819. Silent auction items: The Association is looking for good Blackhorse mementos, or cavalry mementos, or other neat “things” to auction off with proceeds helping us to defray costs of the reunion and going to our scholarship fund. Please contact Rondo Jackson, the silent auction coordinator, at 270-242-2833, or rondo@windstream.net if you have a contribution or donation – you may either send it to him in advance of the reunion or bring it with you, but we would like to know in advance that you are bringing an item. This is important to our fundraising activities. 12pm: Golf Tournament first tee time at Covered Bridge Golf Club, 12510 Covered Bridge Road, Sellersburg, IN, about a 30-minute drive. Cost $55 (includes greens fees, cart, range balls). 8:30am – 8:45am: Load buses for Memorial Service. Buses depart at 8:45am. 8:45am – 4th Annual Reunion Motorcycle Rally – the BHRCM will lead the buses to the Patton Museum near Fort Knox. 10am – Memorial Service at the Regiment’s Monument at the Patton Museum near Fort Knox. NOTE: No lunch at Patton Museum; anticipated return to hotel is around 1230. Please Note: For the memorial service – you do NOT have to be a reunion attendee to attend. 11th ACVVC members are welcome to attend. 6pm – Until: Stable Your Mount casual evening social (bar opens at 6pm and program begins at 7pm). Cash bar with heavy hors d’oeuvres – culminated by the brewing of the Blackhorse punch. 9am – 11am: Association Annual Business meeting. All members are encouraged to attend. 6pm – 10pm: Cocktails/Banquet (Coat & Tie). Cocktails begin at 6pm, dinner at 7pm. Program includes the announcement of scholarship recipients for this year. Keynote speaker is MG H.R. 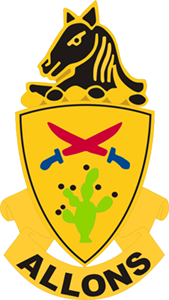 McMaster, current Commander of the Maneuver Center of Excellence at Fort Benning, GA, who served with the Blackhorse at Fort Irwin.